I was born in 1988 and started climbing in 2001. Route setting became part of my life relatively late and, actually, by accident. During my studies in teaching English I had been working at Blokfit Boulder Center in Gdansk. At one point, the place was searching for a head setter. I was given the chance, even though my experience in setting was very limited. I took my chance and got the job. All my “hard skills” came from bouldering outside, but the soft skills from my university proved to be just as important when it came to managing a team. I instantly fell in love with route setting, its unique mixture of being creative, working hard and climbing loads. 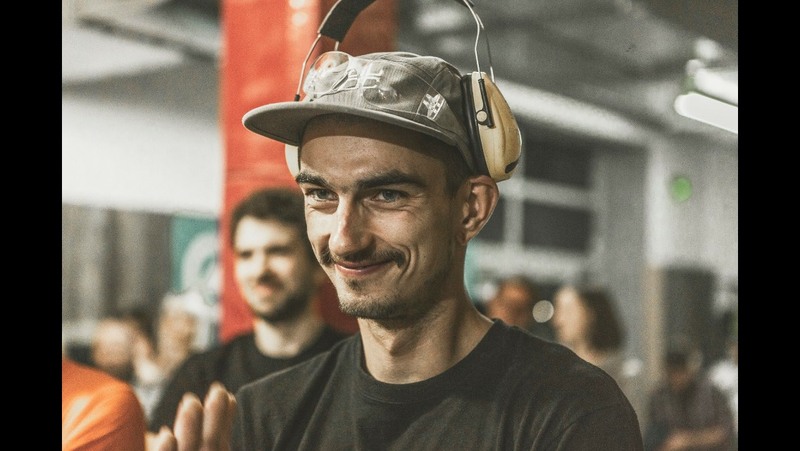 Since then, I have obtained the Polish National License and worked in roughly 30 different bouldering gyms in several European countries as a guest setter. The journey in self-improvement is my motivation, my goal is to set international competitions and climb more and harder outside. Gdansk’s nearest climbing crag is situated 6 hours’ drive away. I grew up climbing on disused railway tunnels built of red or white brick. CLIMBING: Still trying to figure out “Why humans do it?” / ROCK: The right space for real projects, endless source of inspiration. / COMPS: or me, it’s mainly work. I try to apply my knowledge to challenge the climbers and build a good show for the audience. / PLANET EARTH: Is everything we really have. / POLITICS: Not concerned enough about our Planet Earth, selfish and dangerous. Not my cup of tea. / MOTTO: Try to be serious.Follow your own path. Be part of the setting team for Tokyo 2020 Olympics.